You may or may not find this useful. 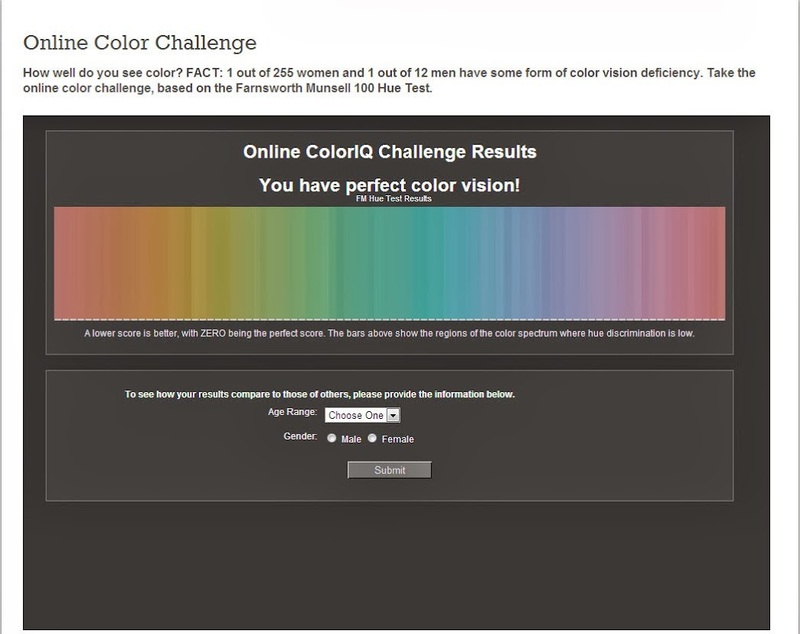 A test for you to see how well you detect colours accurately. V. Interesting! I scored 82....I did do this quickly on my lunch break....excuses. I got 11, which I think is good, but it took me a while. You can't do that in a hurry; you can stare at it and suddenly realise two need swapping. I got a 12. I think I could do it better if I did it in a different way than what I did but I am pretty satisfied with my 12. My misses were all in the middle and I can tell you that I flip flopped a few in the middle a few times but I think that if I slowed down I could do a little better. I got 3, but my eyes hurt when I was done! The ones I missed were basically the middle 3, the blue/green colors. I got a 3, and missed the same three. So since I missed the same three we can agree the test is wrong and now I get a 9. 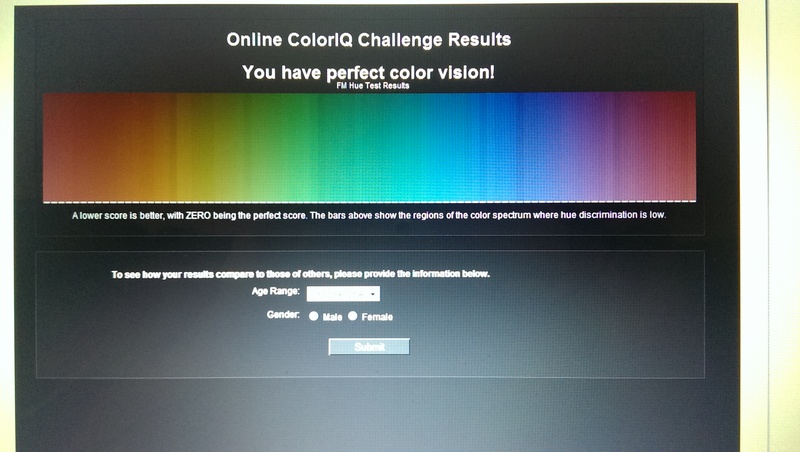 I did re-do it once and got down to an 8 but I was not thinking that I had any wrong. Damn it! I've got to make it upstairs on crutches to do this on the PC. Can't do it on the iPad. I got a 4. Was rather fun to do. I could see where a poor monitor could REALLY lead you astray.